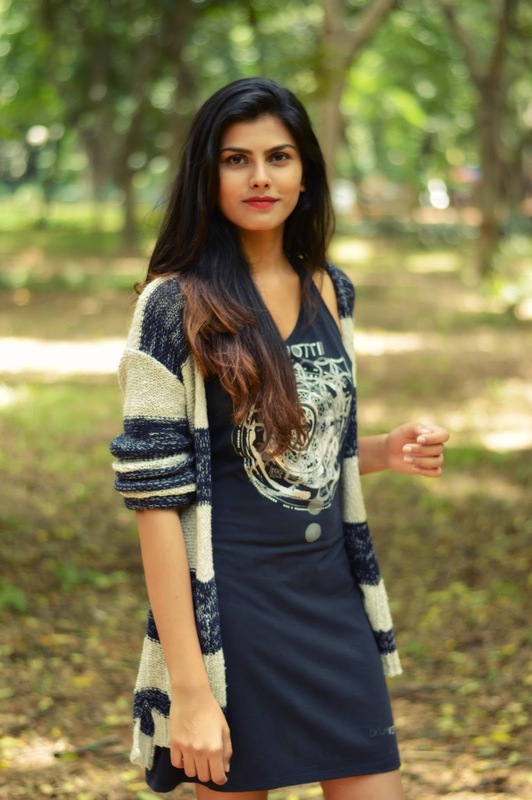 The weather has been rather chilly with the receding monsoon and approaching autumn and such changes during the day ask for some mild layering to stay comfortable throughout. For this week's post I decided to put together a simple yet chic outfit which will help you cope with such changes in the temperature! 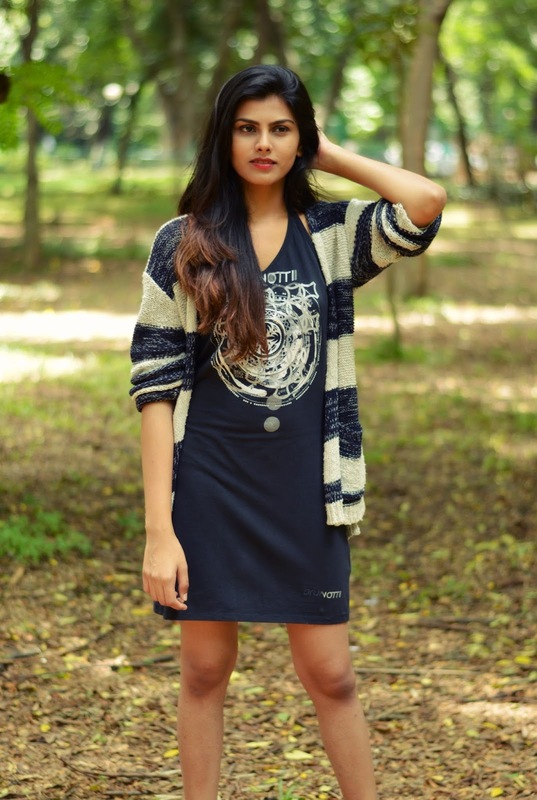 I have paired a simple black halter neck dress with a double color cardigan which I bought from Forever 21. I have a lot of cardigans from Forever 21 which are great for layering. I have noticed that they generally have a great collection of jackets, sweaters and cardigans especially during this time of the year! Since my outfit was looking too grey I decided to add a pop of color by completing the look with a pair of maroon velvet shoes. I absolutely love these shoes as they are supercomfortable and also add that balance to every outfit they are paired with. 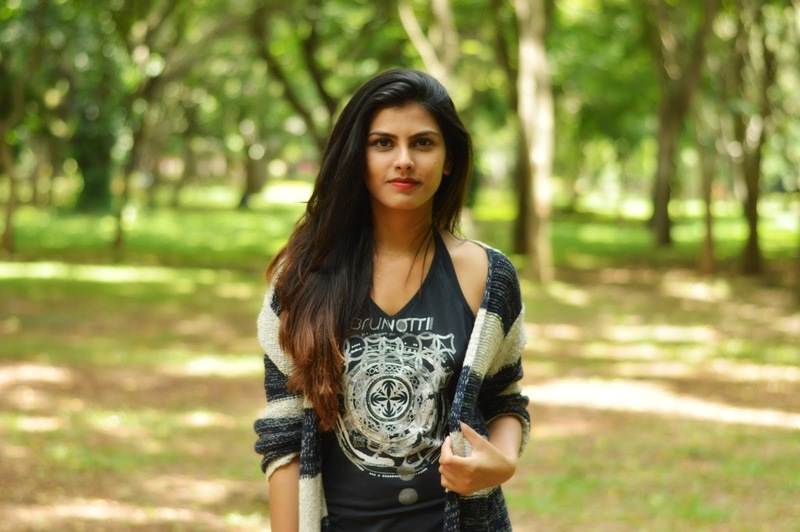 I hope this post gives you some ideas to layer up this season stylishly. This is a great combination you offered! Thanks for the inspiration :) Here is an article I found on the web, that might inspire you. It talks about layer clothing and how to do it the right way. You can check it out here: http://hikingmastery.com/basics/layers-clothing.html I would love to hear your thoughts on the article :) Cheers!